« bauraum Model » offers to its clients architects, engineers, landscape designers, building owners, companies, designers and artists architectural, design, art and prototype models. « bauraum Facades » provides consulting in envelope engineering for the same customers. bauraum welcomes you at 1, passage Hennel, in the XIIth arrondissement in Paris. 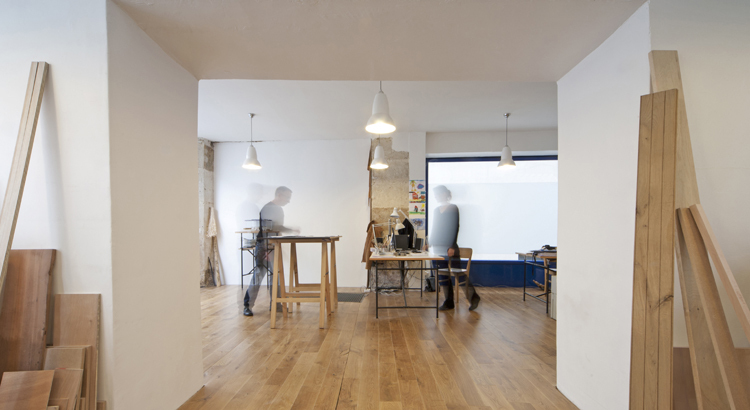 Created in 2012, the workshop is led by two partners Claudia Dieling and Axel Steinmüller. Claudia Dieling, co-founder and partner of bauraum is an experienced architect and engineer. She is a graduate of the RWTH University of Aachen in Germany. Claudia started her career at MGM Arquitectos in Sevilla, then worked at Minkus + Wolf Architekten in Cologne before she joined the Dominique Perrault office in Paris. Four years later, in 2006, after a stint at Brunet Saunier Architecture, Claudia went to work for RFR Ingénieurs. As project manager of the RFR Façades division and as a specialist of envelopes’ design, Claudia conceived, carried out and led a variety of projects for architect clients such as SANAA, Renzo Piano Building Workshop, MVRDV, Wilmotte & Associés, Diener & Diener, Jacques Ferrier, X-TU, Chaix et Morel and Shigeru Ban AE. Thanks to her dual architectural and engineering culture, Claudia can conciliate architectural visions with technical constraints. Having always been passionate about the quest for detail and its constructive aspect, she has a rare know-how in the sector of glass and opaque envelopes, skylights and canopies as well as the renovation of façades and innovative materials. Axel Steinmüller, co-founder and partner of bauraum, started his career as a prop person for the famous Maxim-Gorki theatre in Berlin, Germany. At the end of the eighties, Axel became specialized in model making at Christoph Leistenscheider in Cologne before he opened in that same city his first furniture design and construction studio. As of 2003, Axel came to Paris and pursued his career as model maker at Jean Louis Courtois, BM3A and then New-Tone. 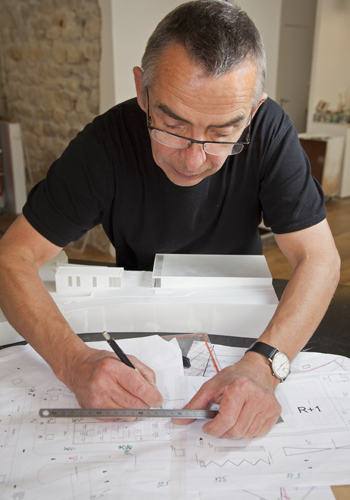 He has built competition, presentation and detail models for architects such as Architecture Studio, Dominique Perrault, Gehry Partners, Gottfried Böhm et Paul Böhm, Kengo Kuma & Associés, Moatti et Rivière, I.M. Pei and Wilmotte & Associés. The trajectory of Axel Steinmüller demonstrates a fine balance between rigor and creativity as well as a constant devotion to detail. Within our professional practice, we respect a certain number of ethics’ rules decided for the common good. Often intervening in the competition phase and having in the context of our missions an access to internal and external resources of our clients, we are bound by professional secrecy. We do not divulge under any pretext the least information that could injure the activity, image, reputation or competitive position of the company or institution that resorts to our services. bauraum is committed to reduce as much as possible the use of toxic products for human health or the environment. The design of façades is carried out with the permanent concern for sustainability and high environmental performance. We commit to respond to environmental current norms and defend a vision and responsible attitude toward our environment. bauraum guaranties the conformity of its performances with current legislation as well as with fundamental and universal principles of human rights.